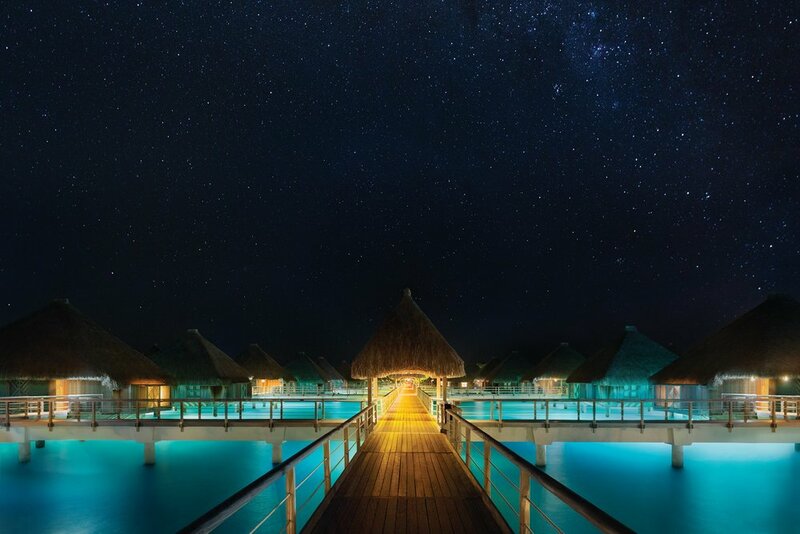 This is the third part in a series highlighting some of my favorite recommendations for couples dreaming of a romantic honeymoon in an overwater bungalow. Le Taha’a Island Resort & Spa was highlighted on the Smitten blog last month, with even more overwater bungalow goodness coming soon! Sixty percent of the nearly 9,000 overwater bungalows in the world can be found in the Maldives, but the iconic accommodation originated in Tahiti in the late 1960s. 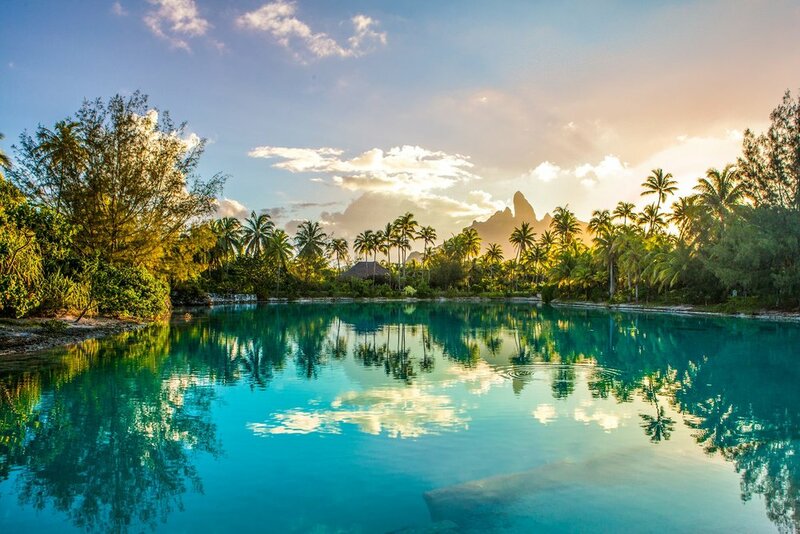 Today, honeymooning in an overwater bungalow remains a quintessential experience for any couple traveling to the French Polynesia, especially if their honeymoon includes a stop in Bora Bora. 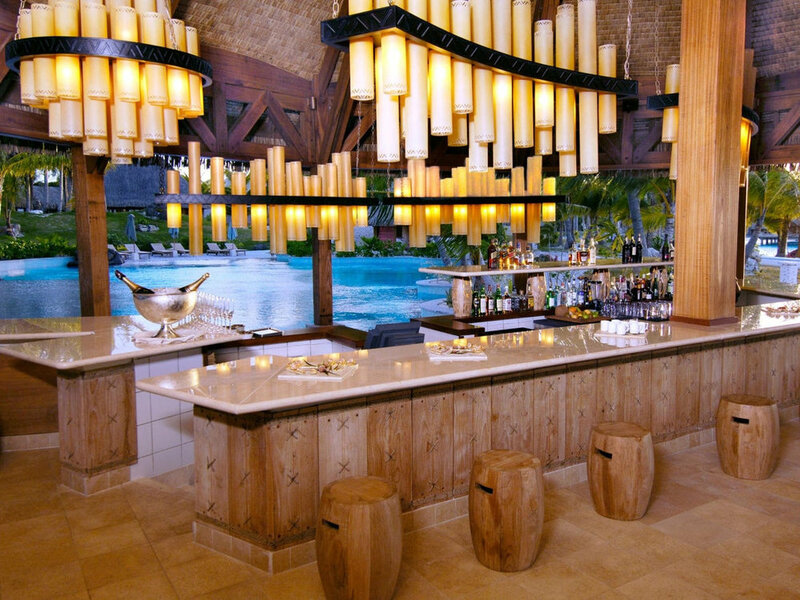 The St. Regis Bora Bora is a worthy consideration for couples with honeymoon dreams that include the French Polynesia. 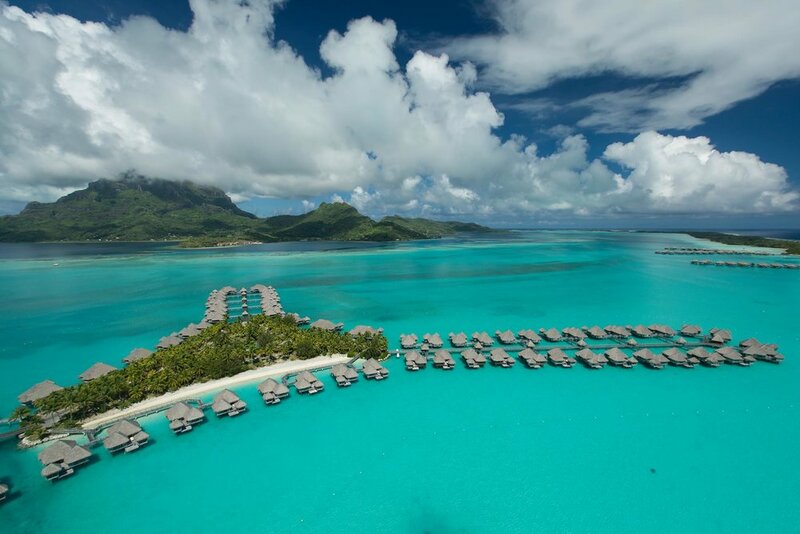 Overwater bungalow options: The St. Regis Bora Bora offers many room categories, including Deluxe, Premier and Royal overwater bungalows, some of which feature island, ocean or Mount Otemanu views. 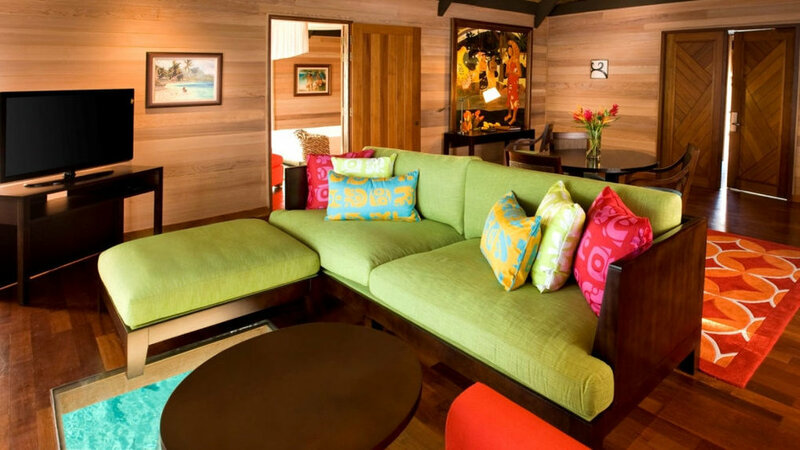 Depending on the room category, you also can enjoy an overwater bungalow with a private whirlpool or plunge pool.